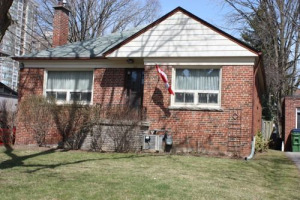 Great Location In High-Demand Willowdale East, 3Br In The Ground Floor And 3 Br In The Basement With Furnished , Bungalow Hous With A Large Front Porch And A Large Deck. Great Potential To Build A Large Luxury Custom Home On 50X120 Ft, Regular Lot With A Bright And Sunny South Facing Backyard,Ready For Rent Or Living Or Or Invest. A Separate Side Entrance For A Potential 3 Br Basement Apartment. Earl Haig School District.